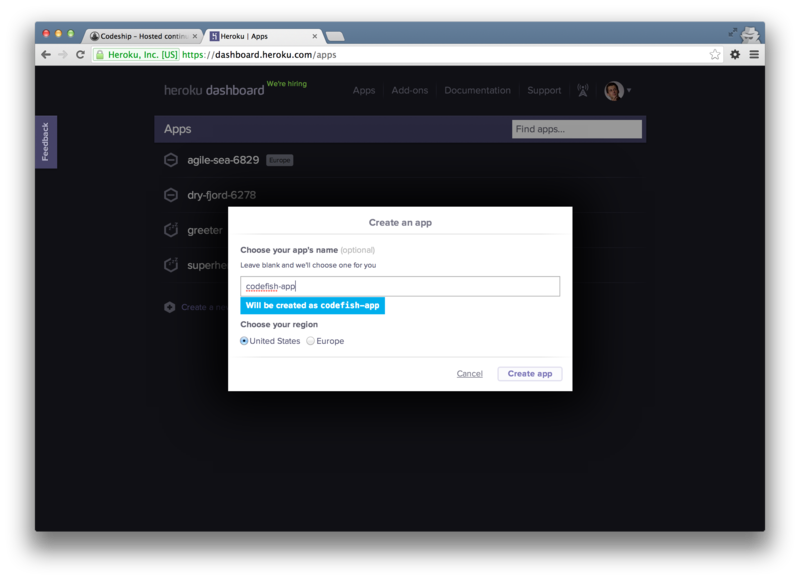 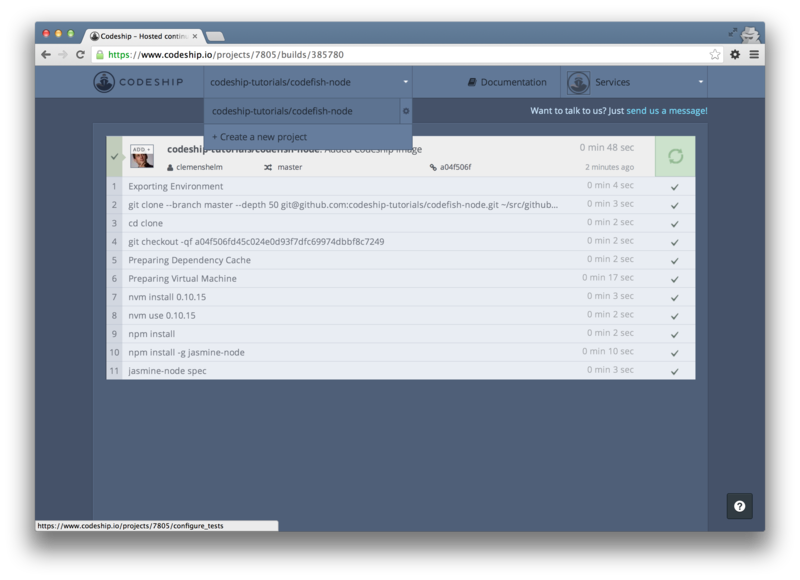 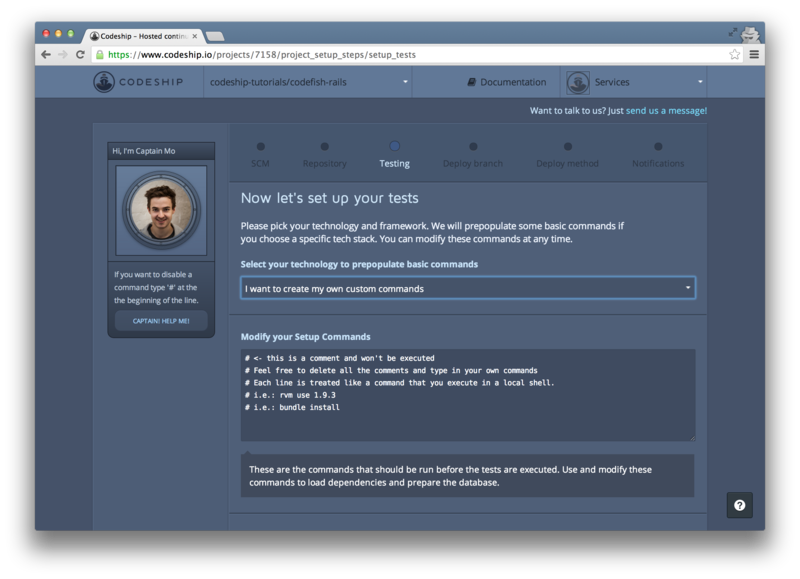 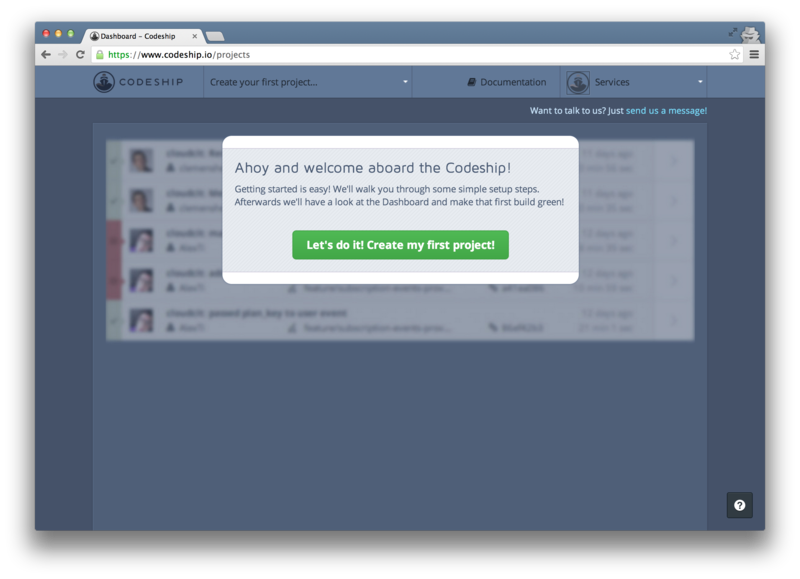 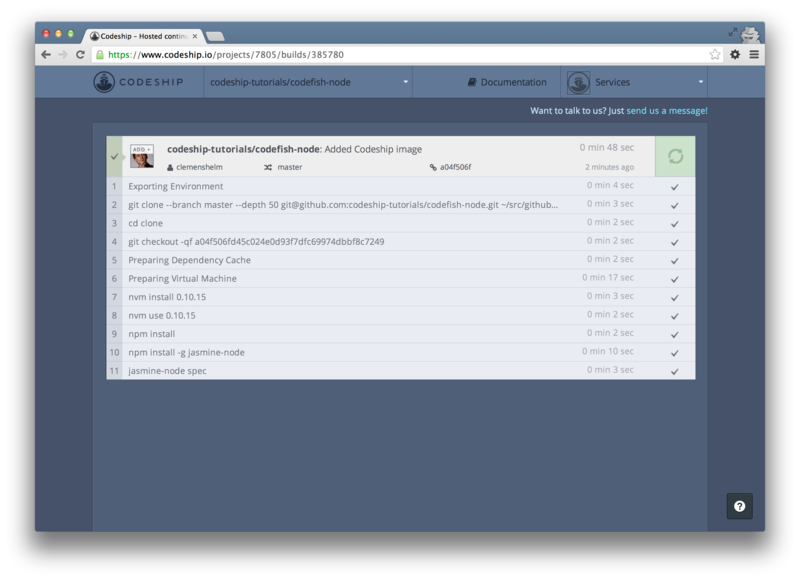 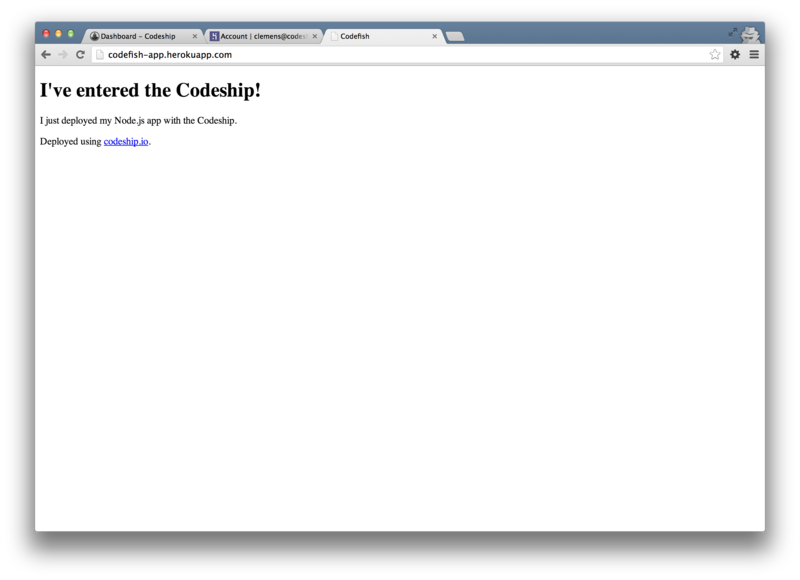 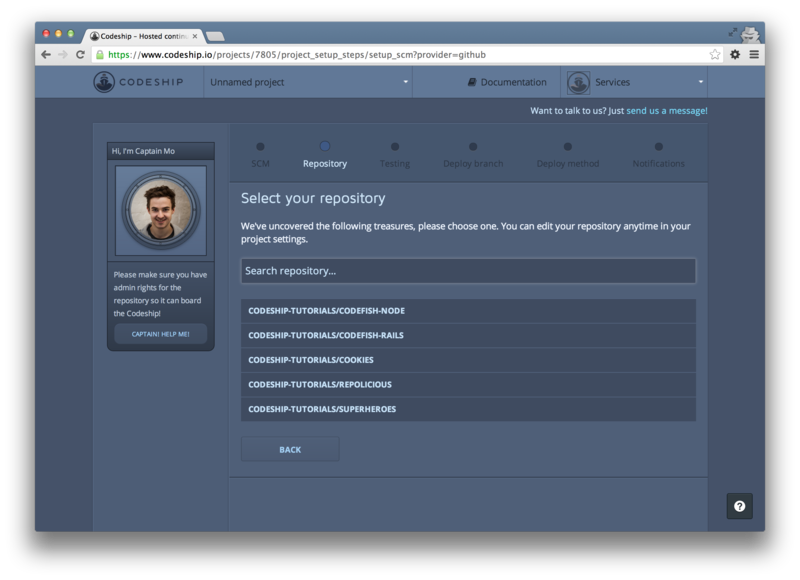 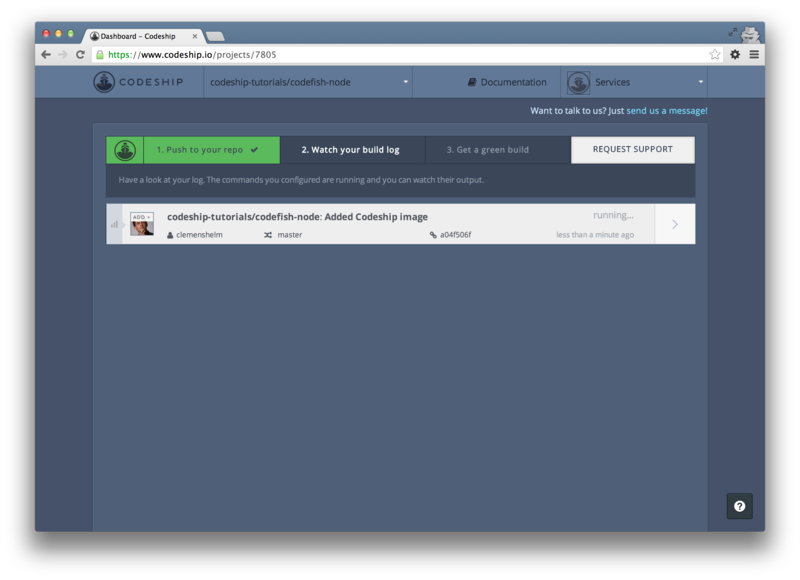 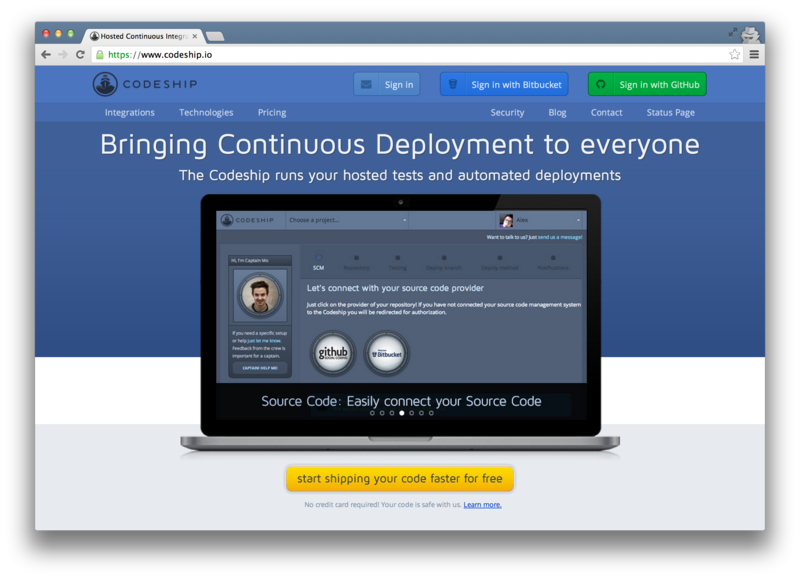 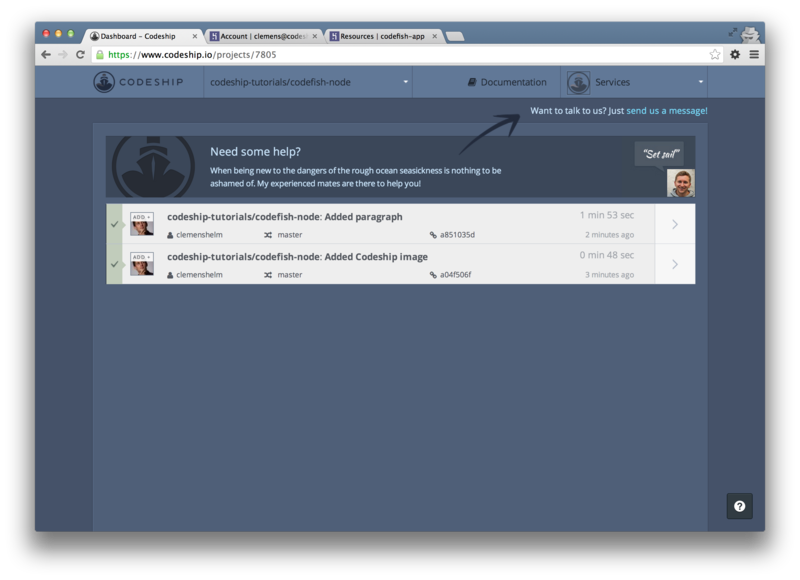 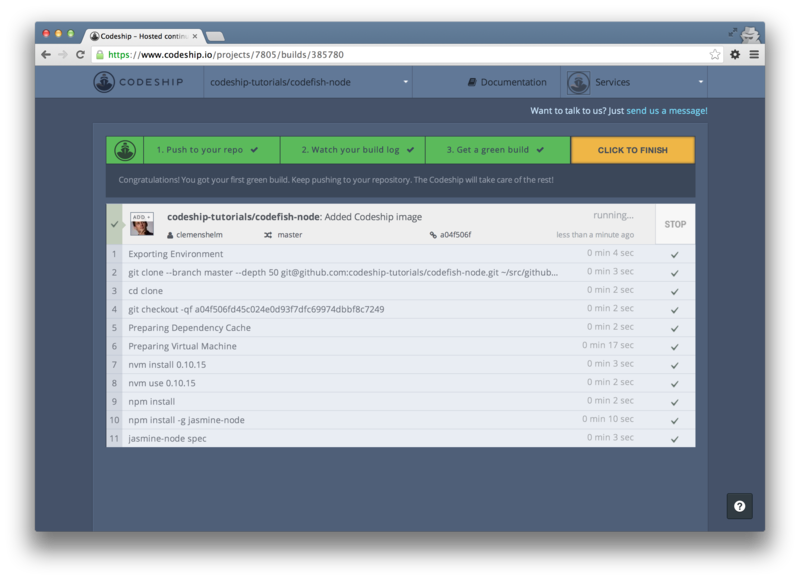 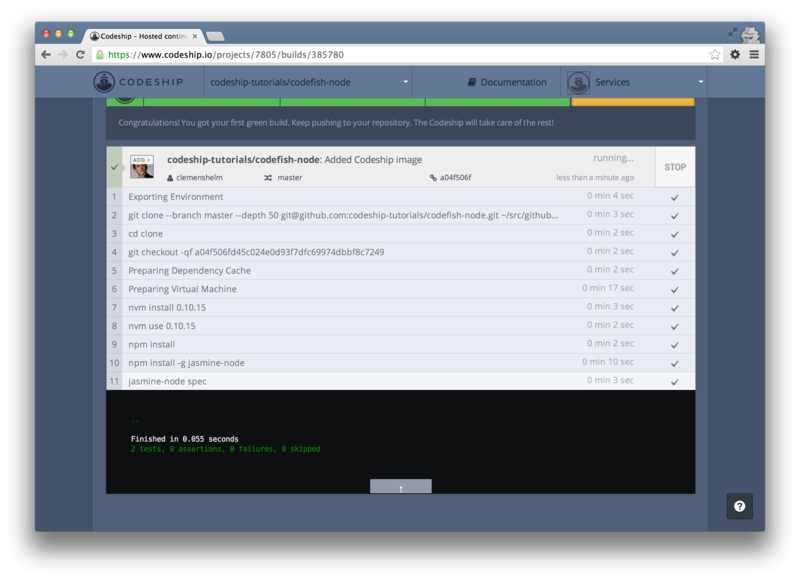 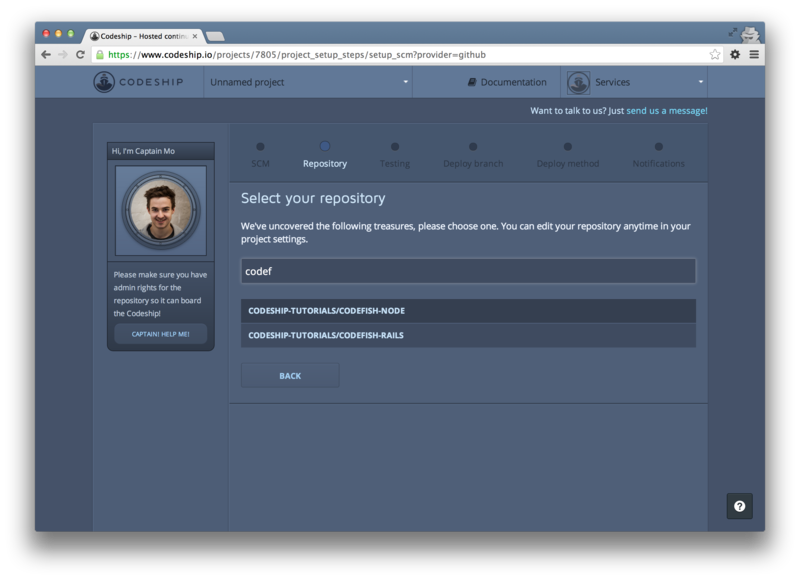 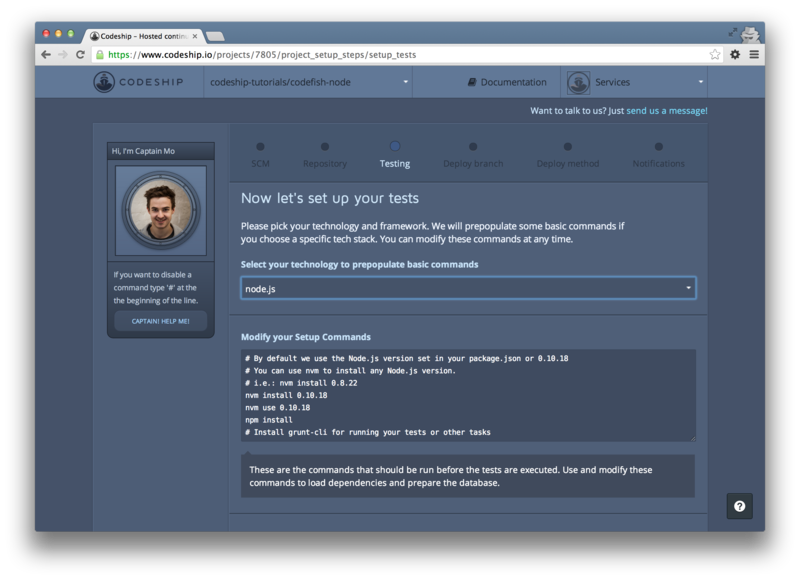 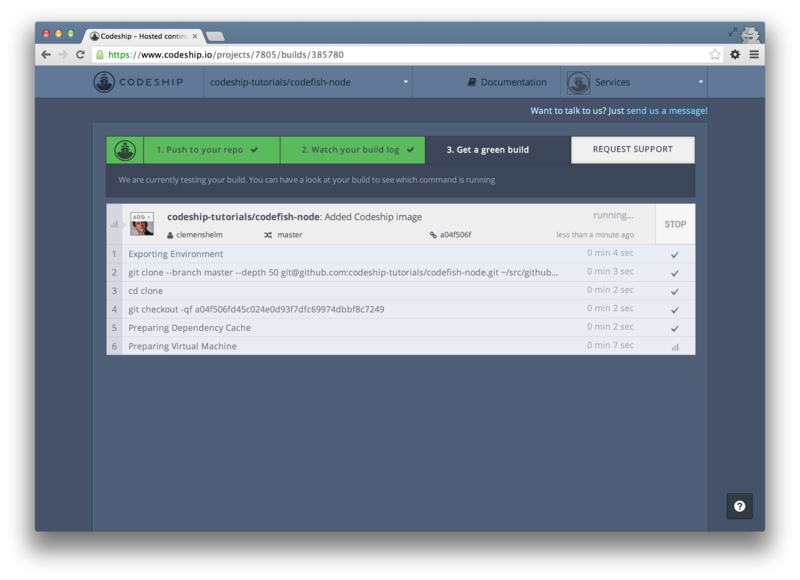 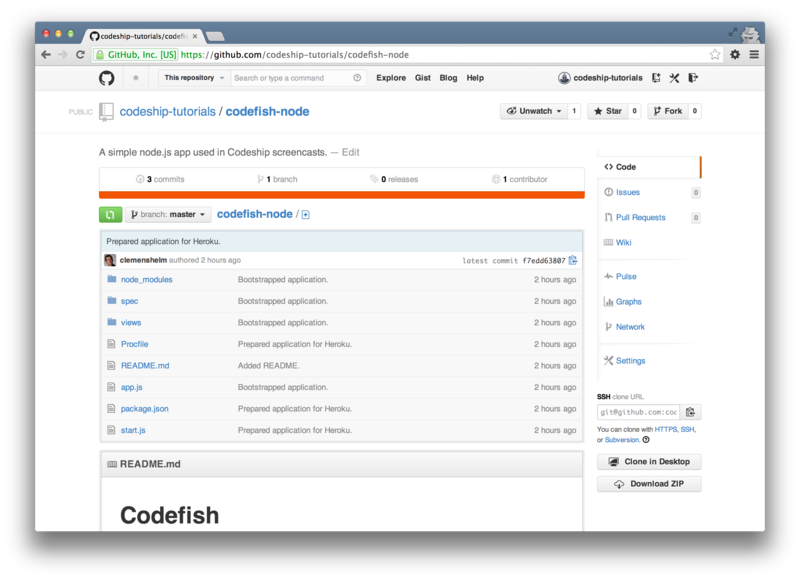 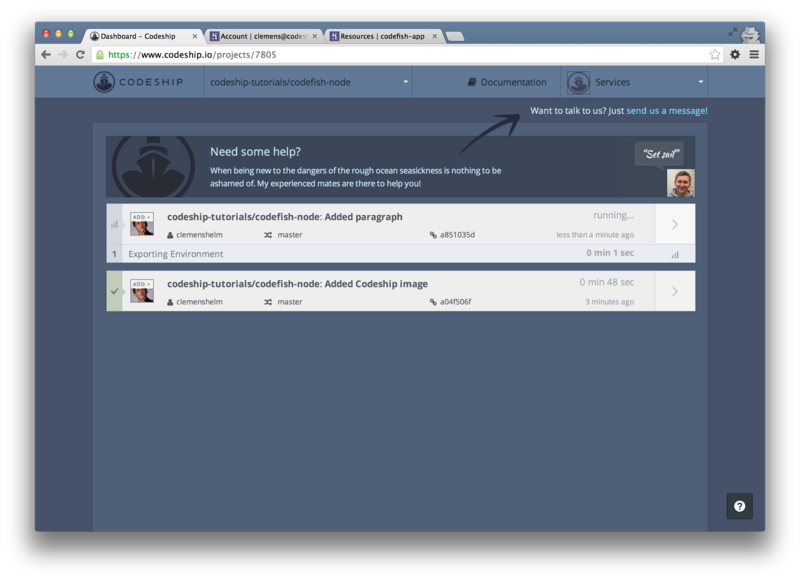 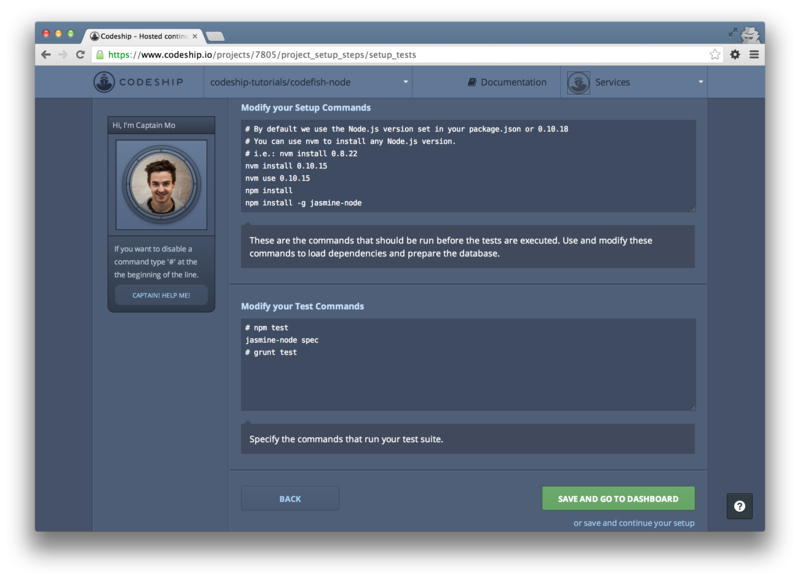 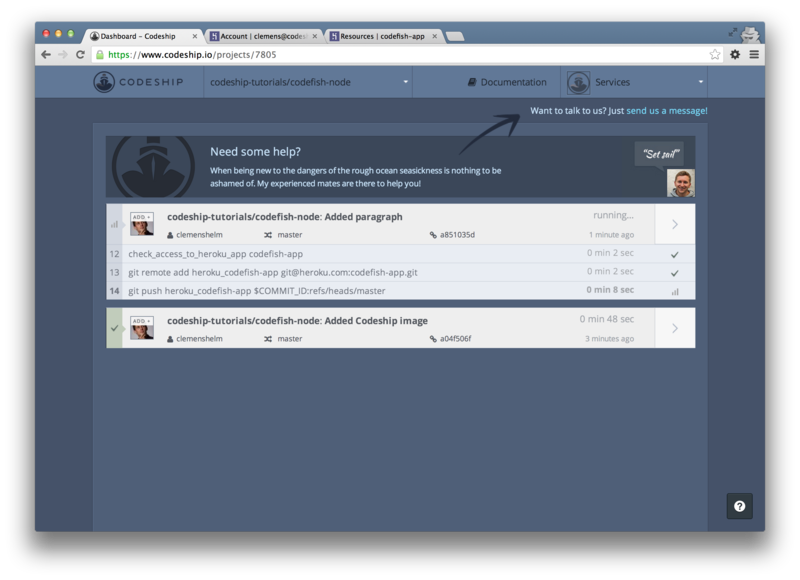 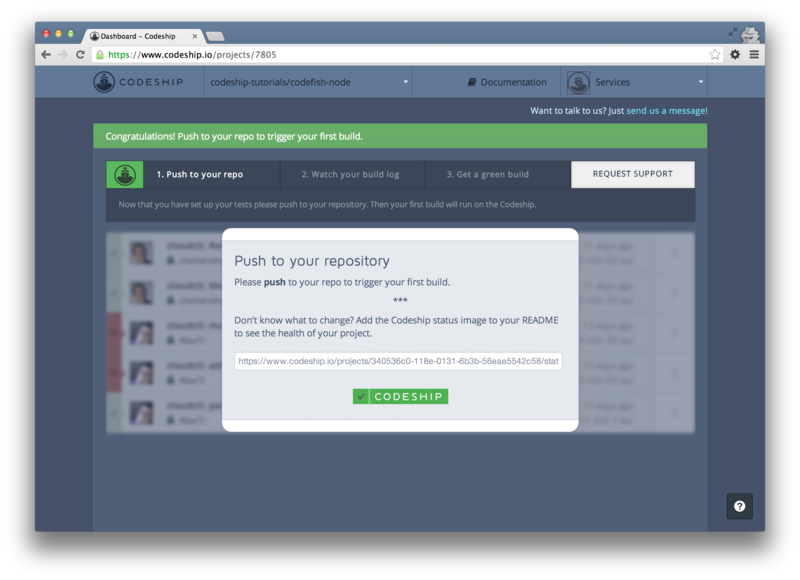 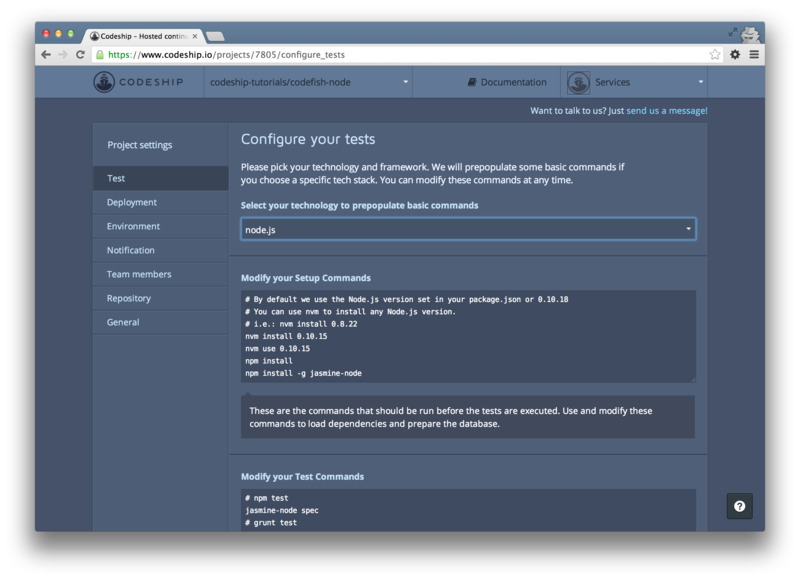 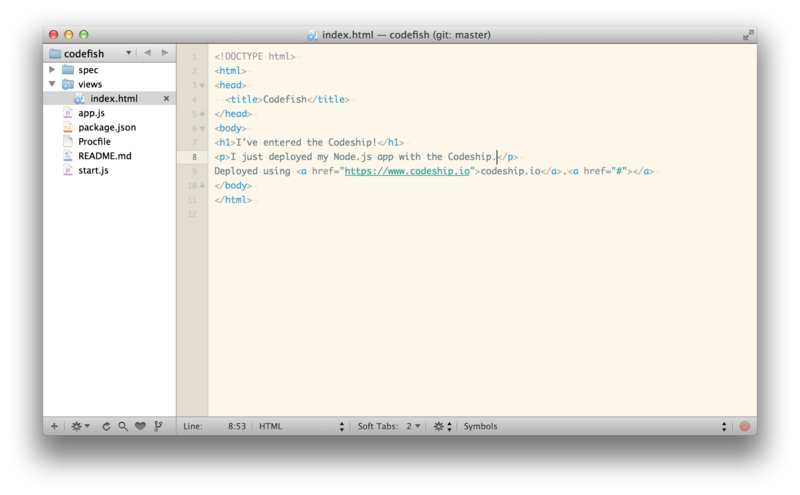 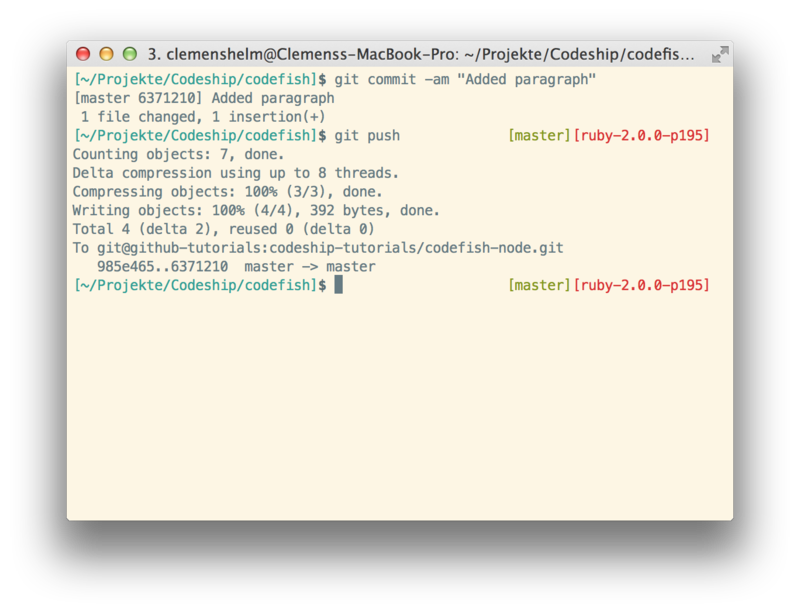 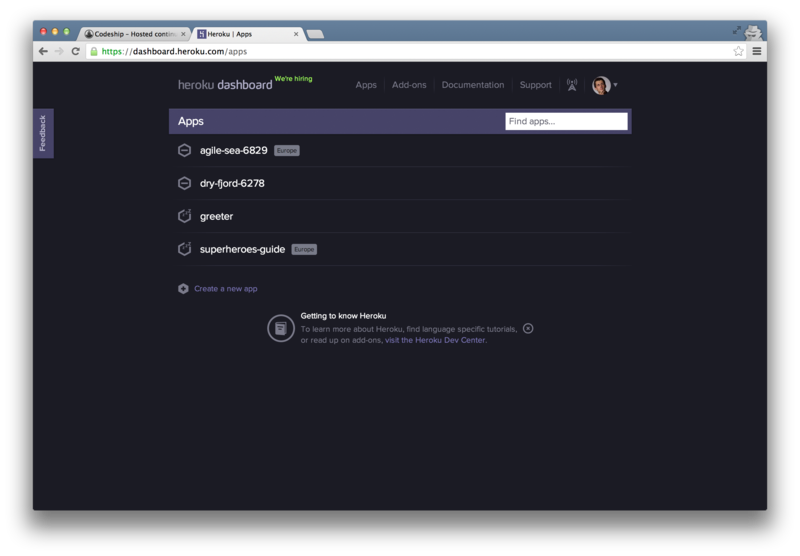 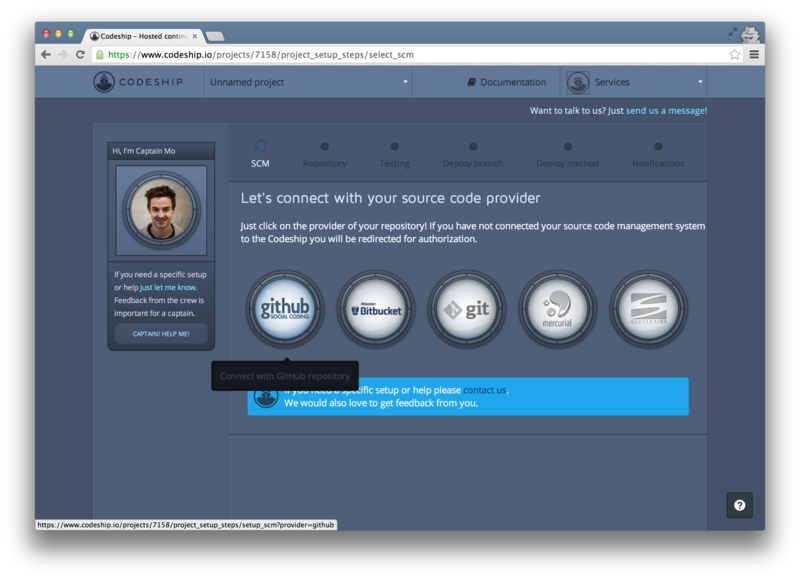 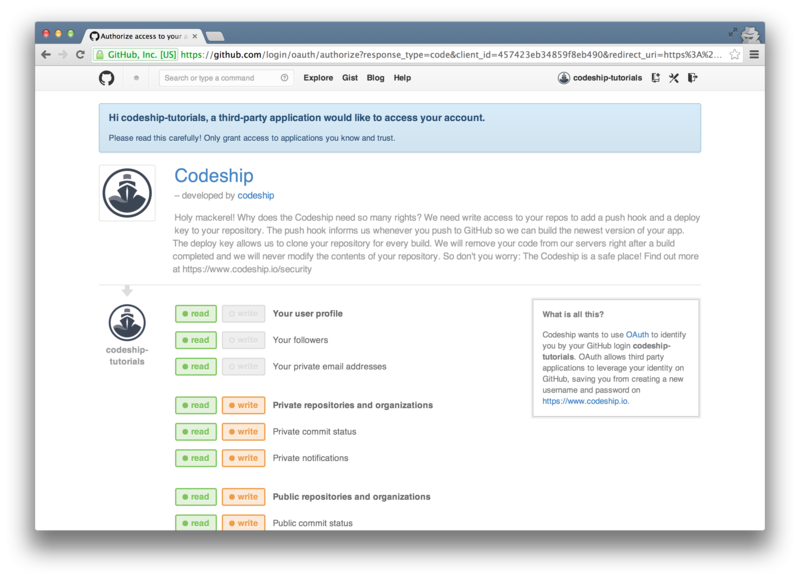 In this blog post we’re gonna deploy a Node.js application from a GitHub repository to Heroku using Codeship. 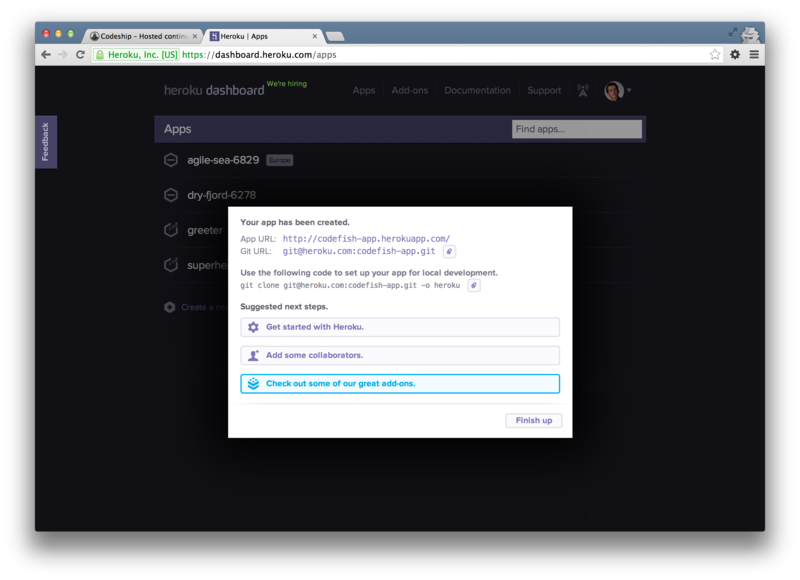 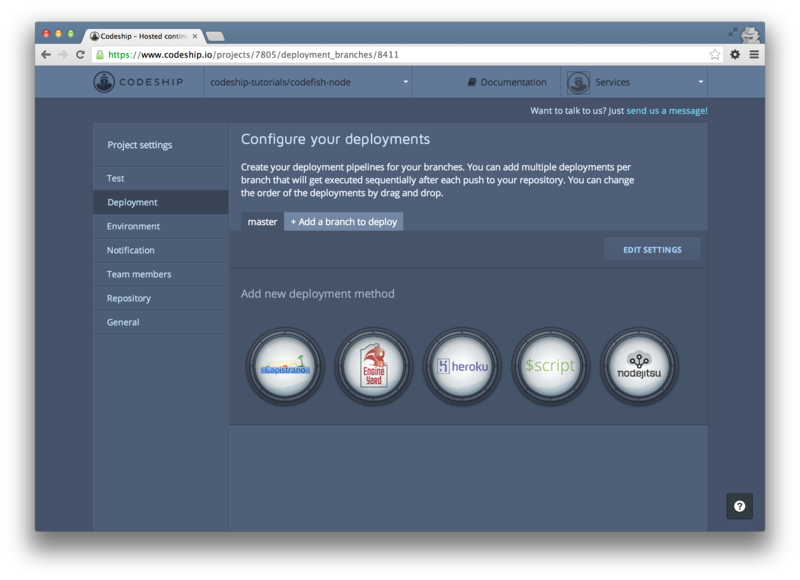 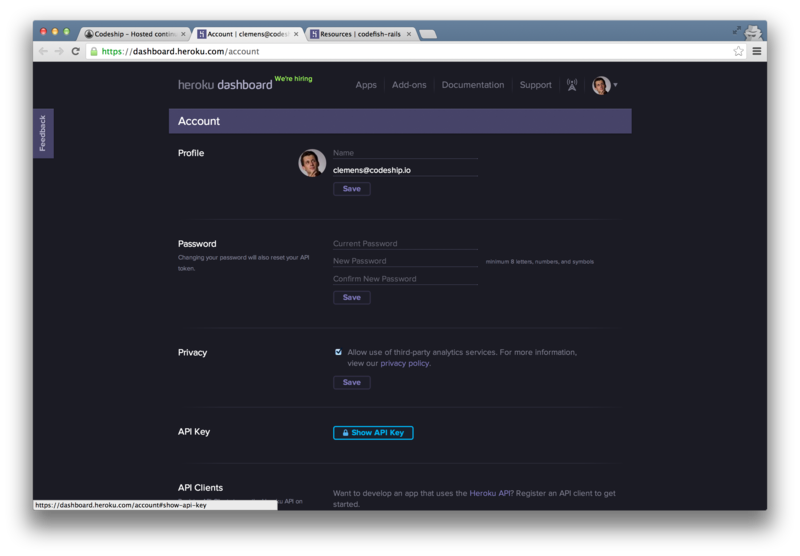 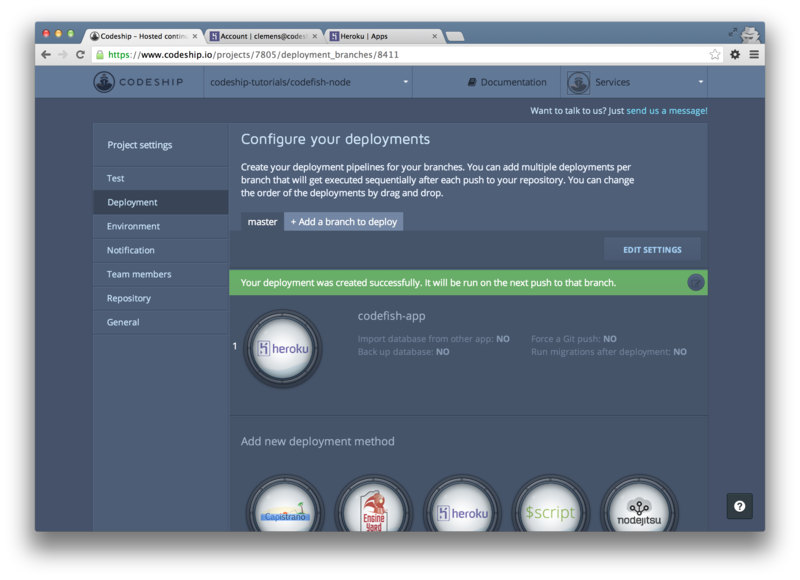 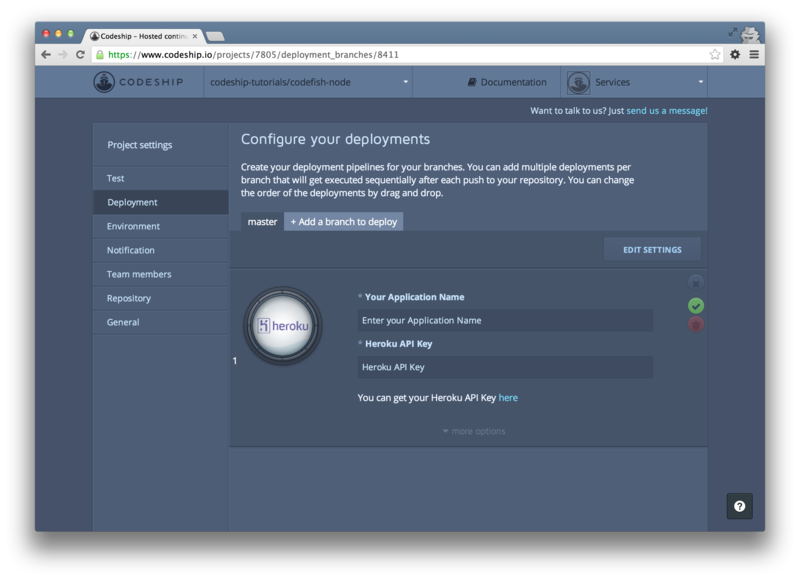 Before we get started, you might want to check out our Deployment to Heroku documentation article. 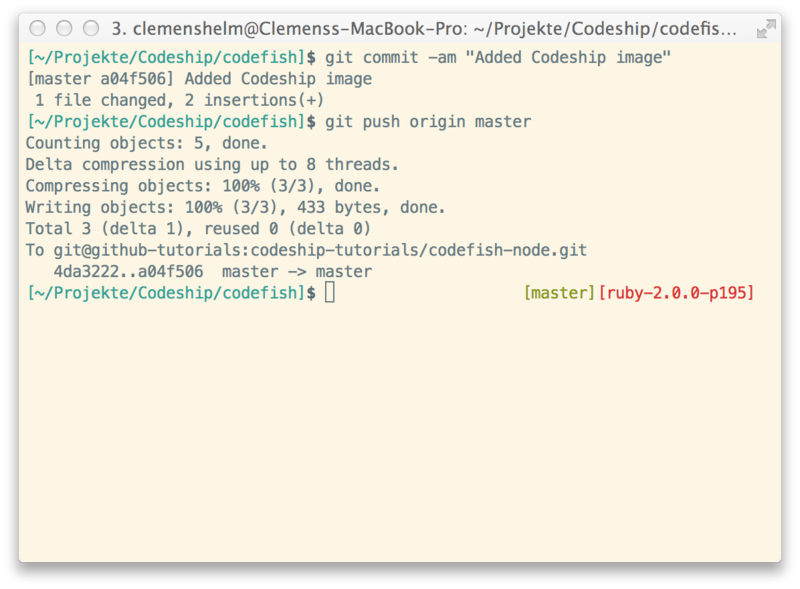 You don’t need npm test for your Jasmine specs, so you can comment it by adding a hash key before the command. 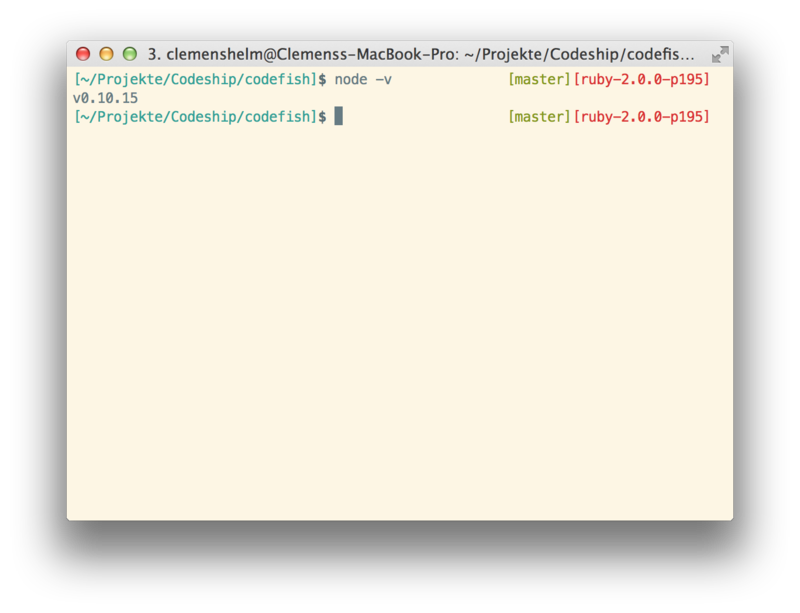 Instead, add jasmine-node spec to the test commands to run your Jasmine specs.